The SWAP Program and the people who partake in the program are important elements of the daily operations in the studio. The work that the SWAPs do is crucial to the atmosphere, character and spotlessness of the studio. This program is intended for people who want to take on a bigger more active role in the studio community and/or those who cannot assign funds to a regular yoga practice. 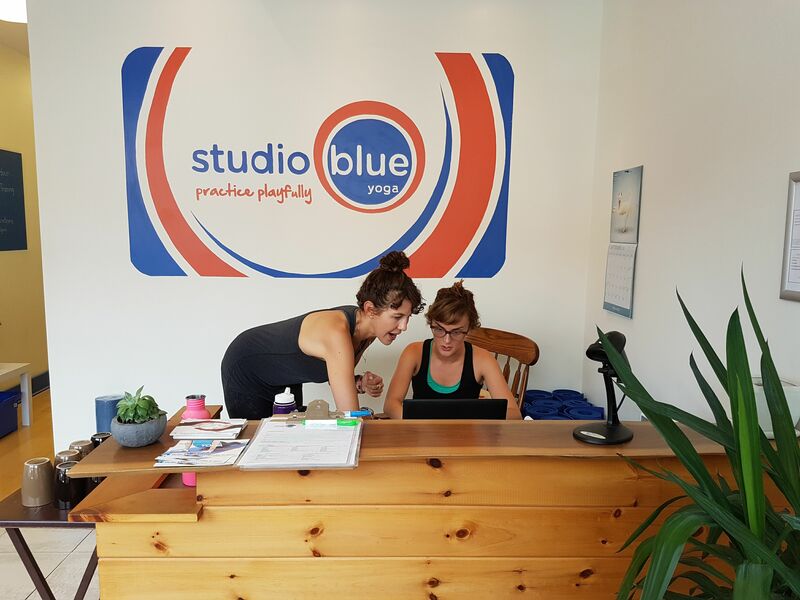 It works like this: contribute a few hours of your time to lend a hand around the studio by rolling up mats, washing and folding towels, cleaning the practice room, vacuuming, and helping with sign-in, etc., SWAPs are invited to attend an unlimited amount of classes at Studio Blue. Become more engaged in your community and get unlimited Studio Blue yoga! If you are interested in the program please fill out the form below. Please note that we need at least a 4 month commitment to the program.